The Enneagram has reached a level of boy-band popularity lately with no end in sight. Maybe you’ve heard of it on social media or online, but have been confused by what all the fuss is about?! Well, the Enneagram is definitely not new. In fact, it’s been around for centuries! The word Enneagram stems from the Greek words ennea (nine) and gram (drawing). Compassion - something we all need more of today, right? The Enneagram is a simple, yet complex personality typing system. It uses a 9-point geometric symbol to reflect the nine types, or personalities. I love how the Enneagram recognizes that people can’t be put in a box. We are multi-dimensional. But even though we can change and grow, we still have an inherent or dominant number. How do I find out my type? If after you take the test you feel like it’s not accurate, do more research about types and wings. Understanding your core fears and motivations takes deep soul work. If reading about your type makes you feel a bit ashamed or embarrassed, then you’re probably on the right track! We don’t always love to hear the hard stuff about ourselves, but that’s when growth is possible. It’s important to remember there are no bad numbers. There are pros and cons to every type! We need to understand both to grow into our best possible selves. Keep in mind this is just a short highlight reel, each type is much more complex. Which one do you most connect with? Type 1: The Reformer or Perfectionist - ethical, reliable, self-controlled, and perfectionistic. Type 2: The Helper - generous, warm, people-pleasing, and possessive. Type 3: The Achiever or Performer - success-oriented, adaptable, productive, and image-conscious. Type 4: The Romantic - expressive, creative, sensitive, and moody. Type 5: The Investigator - perceptive, analytical, secretive, and isolated. Type 6: The Loyalist - engaging, committed, witty, and suspicious. Type 7: The Enthusiast - spontaneous, versatile, fun and scattered. Type 8: The Challenger - self-confident, decisive, intense, and confrontational. Type 9: The Peacemaker - pleasant, laid back, complacent, and resigned. What are the Stress and Security Numbers? If you noticed on the Enneagram’s symbol, the arrows are connected and cross at certain points. These are the stress and security numbers. When you are under stress, the arrow that is leading away from your number is your stress number. This means you’ll reflect some of the more negative aspects of that type. For example, as a seven, I stress towards a type one. I can become more perfectionistic and less easygoing when I’m feeling overwhelmed, trapped or stressed out. The line that is moving towards your number is your security number. When you are feeling secure and healthy, you will reflect the more positive aspects of that number. Mine is a type five, so when I’m doing well I let go of excess and become more orderly. Ironically, I’m married to a type five, so he is always thrilled when this happens! In your reading you might see types listed as 3w4 or 8w7. What does this mean? The w stands for wings. Some types, or numbers, lean heavily to another number directly beside their base number. This means there are two possible wings for each number. For example, there is a marked difference in a person who is a 1w9 versus a 1w2. Read about the differences and nuances for your type’s wings and see if anything rings true. 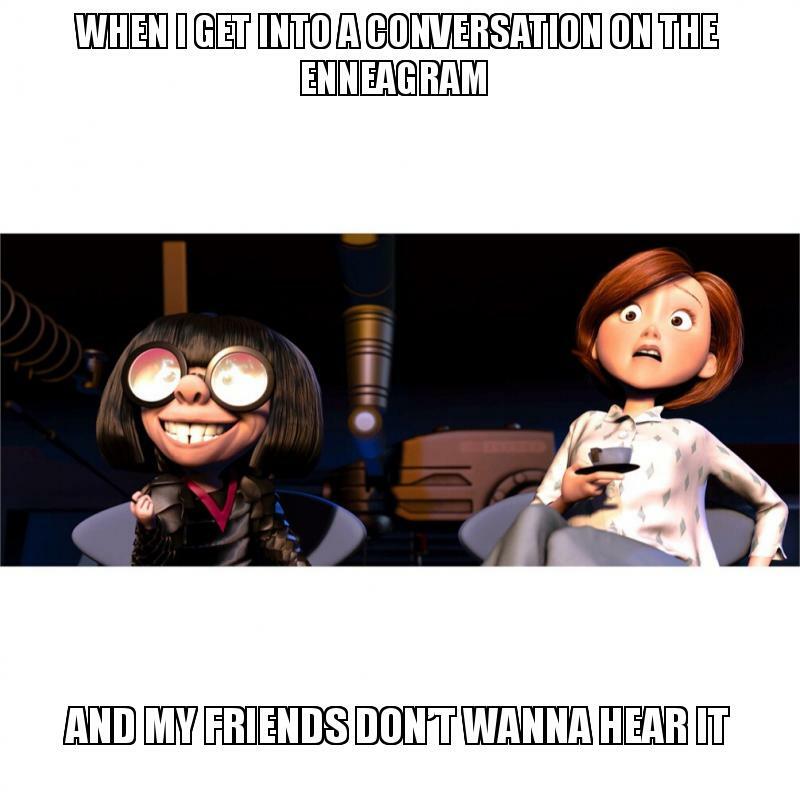 I hope this was a helpful starting point for you to understand more about the Enneagram! Come find me on Instagram, @erinammons, I’ll be sharing more of my favorite Enneagram accounts to follow. Chat soon! P.S. Want something fun and completely non-scientific?! Take my quiz! We can’t talk about meal planning without first talking about perfectionism. If we aim to plan our family dinners in a perfectly Pinterest way - we set ourselves up to fail. If I’m only satisfied when my meal resembles some famous blogger’s Tuesday night dinner - I will crash and burn every time. Because it turns out, I am not a food blogger. Or an expert chef. Or baker. Or food photographer. I’m clearly none of these things. But, do I love to serve my family well? Absolutely. Do I want dinner to be less about prepping and more about connecting? Yep. Meal planning is less about culinary skill and more about who’s around the table. If any of that rings true for you, know you’re in good company. I think most of us just want to do this whole meal planning thing better. We’ve got no energy for the 5pm What’s for Dinner?! stress. And the internet and our friends all have solutions. We try their tips for awhile, but then quickly fizzle out. I have so been there. Multiple times. Anytime I try to emulate somebody else’s meal planning protocol, I fail a few weeks in. Because their life is not my life. We all have different needs, tastes and budgets. Although we can certainly glean advice from others, (and should!) meal planning feels impossible because we have to tweak it and create it ourselves. That’s the hard truth, because it would be so much easier if the deciding was done for us. Right? I get it. We’re continuing this conversation over in the Limitless Motherhood Facebook group and newsletter! Don’t worry, there are ZERO pretty PDFs involved telling you how to meal plan. Just practical advice and a dose or reality around dinner time. I can’t wait to hear what works for you and what doesn’t. Let’s tackle meal planning together! I believe that social media should be just that…social! I’m so tired of ads, political rants and people yelling at the internet. One way I’ve found the fun on social media is through Facebook groups. I’m in a variety of amazing groups where the focus is connection, collaboration and growth. Okay, and there’s usually some pretty epic GIF threads happening as well LOL. 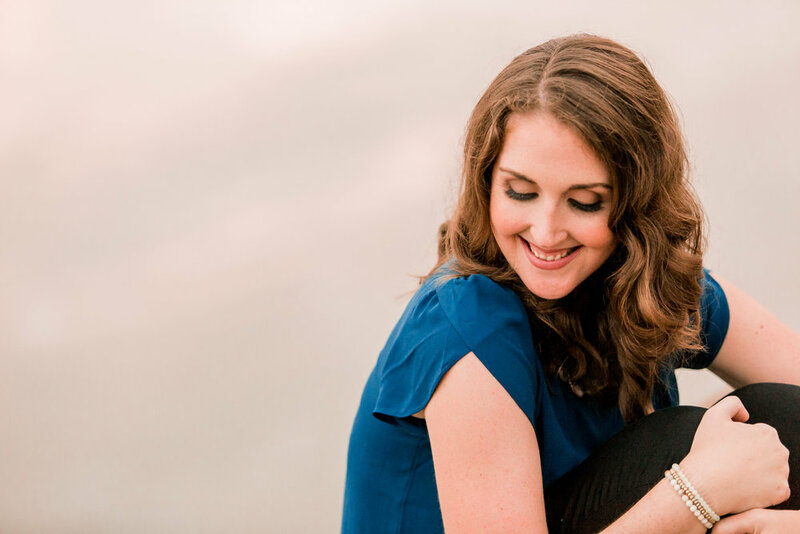 Twice a month I send out the Limitless Motherhood newsletter to readers, but I’ve been missing connecting with them every day. So, we carried the conversation over into a Facebook group and we’re having so much fun getting to know one another! Our topics have ranged from favorite podcasts on motherhood to morning routines. It’s my hope to use this group as an encouragement and not just add to the noise of Facebook. If you’re looking for a group with a more positive and uplifting atmosphere, then I hope you’ll join us! And if you’re not on the email list yet, start there! I promise nothing spammy, just two short emails a month from yours truly. Hint: Tomorrow’s Valentine’s Day topic is about the 5 Love Languages! P.S. If you’re still reading, I’m sending you all the non-creepy internet hugs! I have some BIG writing goals over the next several months. Would you help hold me accountable? I’ll be sharing more of my process over on Instagram. AND there is a super fun giveaway starting todaaaay! So hop on over - you can find me @erinammons there. Doesn’t this month feel approximately 537 days long? Clearly we’ve been January-ing for at least 2 months now. You know what January feels like to me at this point? It feels like striving. Striving to stay on course with our sunny New Years resolutions and try-harder-next-times. January feels like a budget. It’s freezing outside, but not snowing. We checked so many boxes, but not that one. We’re having the best start to the year EVER…or we’re nowhere close. But there is something magical in letting go of all the striving. Silencing the voice that reminds you that you’re not quite where you wanted to be. It whispers about how your aim faltered or shattered way off course. Or maybe your January has been incredible and you feel extra pressure to make February even better. Worried you’ll slip off track next time, convinced that your bubble will burst. Am I the only one who worries about being too happy? But if your January looked imperfect, you’re in good company. Let’s remember that we can change our minds. We can decide something isn’t working. We can choose to sit and wait. We can get up and go. We can try again or not. It’s only a month and there are eleven more just like it. Focus that attention on what you did right or where you witnessed kindness. Things that made you smile and look up from your to-do list. Thank January for what it taught you and carry along any good habits it brought. Forgive all the rest. P.S. If you’re a Mom in the middle of striving, I have a community just for us. Hop over to the Facebook group and introduce yourself. I can’t wait to meet you! Today, I’m sharing an excerpt from my monthly newsletter, the Limitless Motherhood. If you find yourself nodding along, sign up for these encouraging twice-monthly emails! Or send this link to a friend who needs to accept a compliment because she’s all things amazing. be as self-effacing as possible…I wouldn’t want to appear "snooty"
Why do I feel the need to belittle every kind word thrown my way? For the majority of my adult life, this has been my automatic response. Afterwards, I’ll replay the scene in my mind, and am embarrassed that I still respond this way. When I have graciously accepted a compliment before, I do so with a smile, eye contact and a direct “thank you!” Even if I feel a little sick in my stomach the entire time. It doesn’t always make a difference who delivers the compliment, a stranger, friend or even my husband. My response is usually the same. In my jumbled brain, the act of humbling myself against the onslaught of a compliment protects me from becoming *gasp*….a snob. Ridiculous, right? As if accepting a genuine compliment makes me appear egocentric and pretentious. My ugly fear of being perceived as a Regina George is its' own inner Mean Girl. Recently, I’ve noticed how my six-year-old daughter responds after I compliment her. As simple as that. She accepts and enjoys my compliment. She allows my words to wash over her fill her emotional cup. Why can’t I always do the same? My daughters are watching and listening. If whenever their Mom is complimented and she brushes it off, what will they learn? They will learn to limit themselves. To downplay their gifts and abilities. They might listen to their own inner mean girls. They’ll believe that self assurance is conceited. Clearly, this is not what I want for them - or for myself. There is a time and place for teaching our children humility, but they also need to learn the art of accepting a compliment with grace. The next time I receive praise, I’ll accept it with a smile and a genuine thank you. No side stepping or Regina-phobia allowed. 1. Powersheets - If you’ve not heard of Lara Casey, please let me introduce you here! She is the creator of the highly successful and inspiring Powersheets line of planners. These are planners that help you achieve your daily, weekly, monthly and annual goals. She preaches progress over perfection and I can certainly relate to that! I love the Tending Lists so I can see all my September goals at a glance. It sits with my daily planner on my desk and I can check in when I’m feeling a bit scattered. Even me, a B-Type personality who resists structure, THRIVES with this planner. She’ll be launching the 2019 line soon - so check it out! 2. The Enneagram - You guys, when I discover something this amazing - I.go.deep. I’m not sure where I heard about the Enneagram first, but I’ve always been a fan of personality assessments and profiles. There are 9 personality profiles and everyone falls into one number or ‘wings’ with other numbers. It’s fascinating! I am all about knowing myself better AND knowing more about the people in my life. The more we understand, the better and more purposely we can love others well. Clearly, I’m super enthusiast about this topic. With that hint, can you guess my number? ;) Curious? This is the link to the quiz I took: Explore Your Type. 3. Chili Recipes - We’re not big sports fans in my house, but we do love an excuse for warm and cozy food. I love trying a new chili recipe each Fall and tweaking favorites to make them even tastier. If you’ve been making the same recipe for years, consider adding different beans, spices, peppers, pumpkin or sweet potato. The options are endless and super yummy. If you have a go-to recipe, share it in the comments below! 4. Real Pumpkins - I know this one sounds strange, but after taking The Nester’s Fall course I am a changed woman. 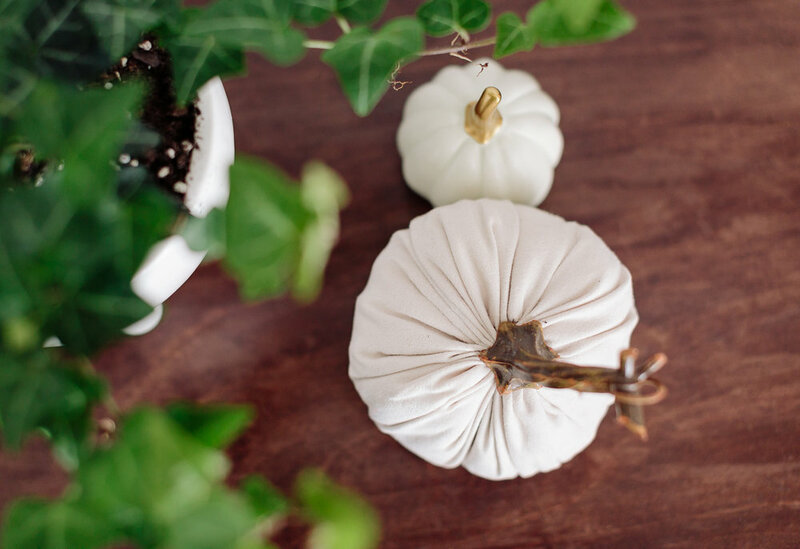 Instead of using all plastic or fabric pumpkins in our Fall decor, I’m on the lookout for real pumpkins instead. I’m looking for quirky, unique, statement pumpkins. If you’re out and see a good local spot with several - holler at me! 5. Cardigans - Honestly, these are a year round fav and I don’t even own many pullover sweaters. Cardigans are perfect for layering and I crave a variety this time of year. Even with my capsule wardrobe, these act as ‘extras’ so I’ll snag one or two new ones each Fall. Not sure what a capsule wardrobe is? I shared my experience about it on the blog, HERE! What are you loving this Fall?! I’d love to know! Chat soon, friends. In July, I launched the Limitless Motherhood Newsletter. Twice a month, readers get a short and sweet note straight to their inboxes. These emails offer encouragement for Moms who want more from their lives. It's my hope these emails will inspire, motivate and help other women feel a little less alone. Even in a world with so many social media platforms... we still crave real connection with others. The Limitless Motherhood is my answer to all the noise. If you haven't yet, I hope you'll join us! A fresh newsletter is coming tomorrow where we'll chat about how September feels like the new January. If you've been feeling conflicted over this new season, or even if you're ready for aaaall the pumpkin treats - it's okay to own that. I'll also be sharing a list of my current favorite books, podcasts, movies, and products if you're on the lookout for some inspiration this Fall! When you sign up for the newsletter, you'll also receive Finding Imperfect Balance: A Guide to Getting Unstuck, no Matter your Season for free! This is a 5-page printable that helps you emotionally and physically prep for Fall. With a handful of purposeful questions and space to brainstorm, it's my hope this will help Moms feel more equipped this season! Take a moment before this busy season starts and consider what really matter right now. Not what's important to someone else or what's on Pinterest. It's not about finding perfect balance, because I'm not convinced that really exists. It's more about purposely choosing to hold on to just a few things instead of everything. If you're already signed up, your guide will be delivered in tomorrow's newsletter. Be sure to use our hashtag, #limitlessmotherhood so we can connect on Instagram!